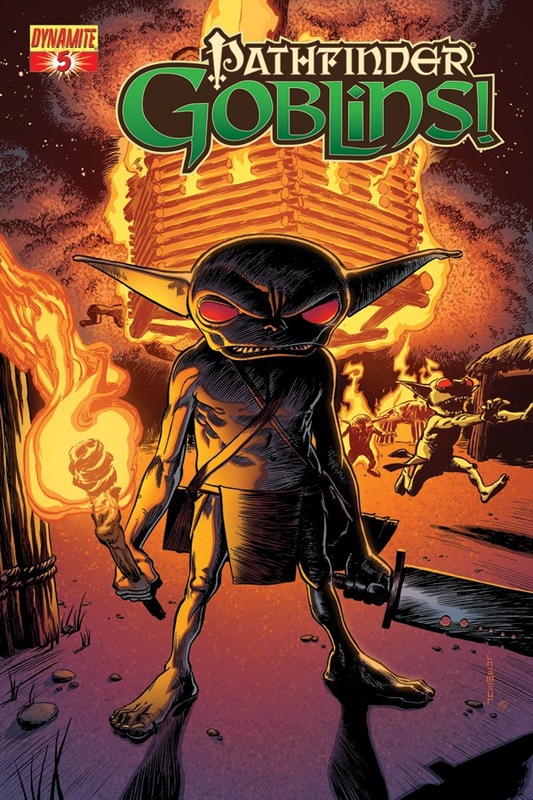 Dynamite Entertainment / Pathfinder Comics / Pathfinder: Goblins! Our Goblins! series winds down to a close with two more glorious stories of goblin lore! In "The Ballad of Ak" we follow the rapid rise and fall of Ak, a chief's assistant who is bullied and disrespected by the rest of his tribe. And in "Legendary", the misadventures of Muttonchomp and his goblin dog are proclaimed by the campfire. This is a tale of a goblin's meteoric rise to infamy alongside his "faithful" companion! Sign in to start a discussion about Pathfinder: Goblins! #5 (Standard Cover)!